There aren’t a whole lot of drones that can fit in the palm of your hand. And there certainly are even fewer hexacopters in such a small package. The Mokasi Navigator Hexacopter breaks the mold as 6-prop micro drone that is about the size of a silver dollar. It has three different colored, super bright LEDs. It also comes with six propeller guards to help the beginner pilot. Maybe the best feature of this drone is what we have coined as “Disco Mode”. 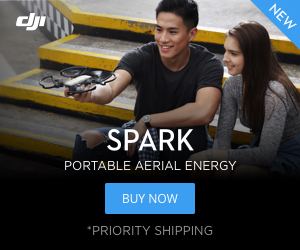 They don’t even advertise this feature, but if you spin the drone continuously it will start to spin super fast after about a second. This is way faster than any other drone we have seen. The three colors of LEDs create a really cool effect when it’s spinning like crazy. This is the drone you want to bring with you to your next lights-out dance part. 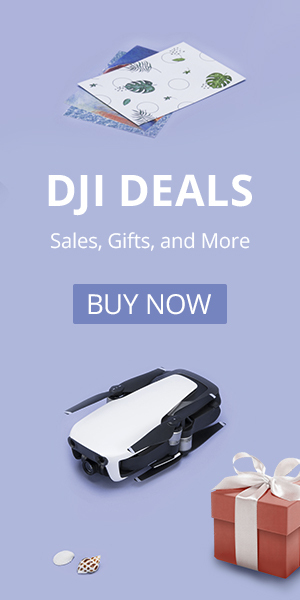 If you are looking for something small and unique then this is definitely a drone to consider. This drone is pretty stable for as small as it is. It is also pretty quick and agile. It will flip with the press of a button. You can see the Navigator’s “Disco Mode” in our video, but it’s impossible to appreciate it unless you see it in person with the lights dimmed. The Navigator fits nicely into the transmitter for easy transport. This really is a nice feature and makes the tiny drone super portable. The transmitter fits nicely in your hand and has the feel of a game controller. The six propellers and six motors mean that there is more to take care of and more that could go wrong. Our model had a motor burn out. Perhaps that was our luck, but there is something to having more moving pieces. One tip about the props – if you land upside down you will very likely notice that one or more of the motors is not spinning very well anymore. That’s because the prop was pressed down too far on impact. Simply pull any stuck props back away from the motors a bit and you are back in business. Overall this is a fun little drone and a nice change of pace from the other micro drones that like the countless Cheerson CX-10 models or the Hubsan Q4. We don’t have anything against the CX-10 or the Hubsan Q4. They are both fun micros, but the Mokasi Navigator Hexacopter is definitely unique. Not sure if this is the drone for you?? ?